Cyclobenzaprine High Effects: How Long Does Flexeril High Last? Cyclobenzaprine 10mg high is a feeling achieved by taking this muscle relaxant. It is a prescription medication that blocks the nerve impulses sent to the brain. For musculoskeletal pain and spasms, medical practitioners generally prescribe Cyclobenzaprine twice to thrice daily. Read on to know more about how does Flexeril make you feel. Why Do People Use Cyclobenzaprine Recreationally? How Do People Abuse Flexeril? How Much Is Cyclobenzaprine Needed To Get High? What Does It Feel Like To Get High On Cyclobenzaprine? How Long Does Flexeril High Last? The Flexeril high can alter the state of mind of a person. It produces a long-lasting feeling of relaxation and calmness that many drug abusers find quite alluring. This is what forces regular users to go ahead experimenting with it. Some people use it because the Flexeril recreational use results in a relaxed, lethargic sensation and, in a few cases, a mild euphoria too. At worst, a very high dosage of this drug can result in hallucinations. Flexeril is a muscle relaxer that can be abused alone or along with other drugs. People often abuse it in a combination of central nervous system depressants like alcohol, benzodiazepines, and barbiturates. People generally abuse Flexeril by taking it orally or snorting it. To take it orally, they either swallow the tablets or dissolve them in the liquid, often alcohol. When Flexeril and alcohol are taken together, they can get a person high off Flexeril. Flexeril can also be abused by crushing up and snorting. Since it is not classified as a controlled substance by the DEA, it may be easily obtained. While the drug is usually safe when used as prescribed, there can be many side effects of Flexeril, some of which can be lethal. At higher dosage, it may interrupt the activity of certain neurotransmitters in the brain and lead to a neurological condition wherein a person loses control over the movements of the muscles. Cyclobenzaprine 10 mg dose gets you high and can offer a feeling of relaxation and being at ease. It normally takes a good 20 to 30 minutes to start kicking in the body and showing its effects. However, since every person reacts differently after taking this drug, one can take Cyclobenzaprine depending on the type of high a person is looking for. When taken at higher doses like 30 to 50 mg, people have reported to feeling like floating outside their own body. Thus, Cyclobenzaprine affects everyone differently. While some might enjoy the recreational use of the drug, others may not at all like the feeling associated with its usage. Flexeril, the cyclobenzaprine brand name, is not the kind of drug to produce a high in the traditional sense. Prescribing Flexeril dose for back pain is common and will not result into an excess of dopamine in the brain like other addictive drug does. Wondering then how can you get high off cyclobenzaprine? Well, Flexeril does produce a relaxing sensation, which can be very pleasurable. It relaxes the muscles and relieves the pain related to various muscular injuries. People taking Flexeril may first notice the amplified effects of the drug which may lead them to abuse it. 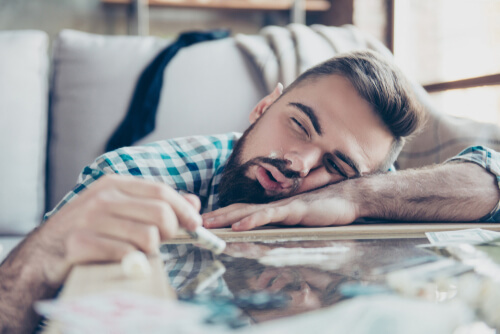 Some people use the drug as a means for sleeping, while others might use it recreationally to increase the effects of alcohol or other drugs. This is the sensation for which some people abuse Cyclobenzaprine. Well, it is the amount of consumption of the drug that defines how long the Flexeril high will last. People who use large amounts of the drug or use it frequently will eliminate it slowly as it gets accumulated in their bodies. In general, Flexeril starts to kick in about 20 minutes after the intake and may last from several minutes to 6 hours, depending on the individual tolerance and the other substances taken together with Cyclobenzaprine to potentiate its effects. To overcome addiction, one must work with an experienced professional and then join a rehabilitation program. The addiction therapy provided through these programs helps the drug addicts learn how to deal with Flexeril abuse. Without help, the drug abuse may lead to an overdose, which can have various side effects. To name a few are drowsiness, dizziness, dry mouth, constipation, or tiredness. However, this is not an exhaustive list of side effects and others may occur. Some of the Cyclobenzaprine effects can be lethal. If you or someone you love is struggling with Cyclobenzaprine usage, it is vital to seek treatment. Call our hotline number (888)-459-5511 today to speak to our representative.